Crystal Palace have recorded some outstanding triumphs in the FA Cup and we select the finest 10. In snowy conditions at Selhurst Park, Palace scored an avalanche of goals to record their joint biggest-ever FA Cup triumph. Harry Havelock plundered a hat-trick, with Jimmy Wilde, Lewis Griffiths, Hubert Butler and Jimmy Hamilton scoring the others against Palace's Division Three South rivals. Premier League Palace roared into the semi-finals with four goals of supreme quality in a brilliant away win against their First Division opponents. 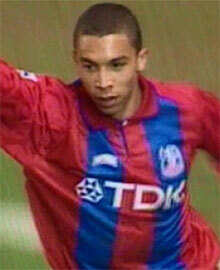 Chris Armstrong fired the Eagles in front with a bicycle kick before David Kelly brought the hosts level. 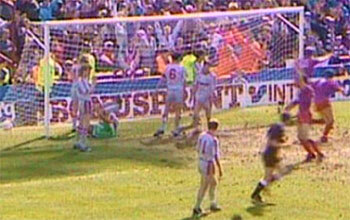 It wasn't long until Palace retook the lead as Iain Dowie controlled the ball in the box, swivelled and volleyed home. Darren Pitcher then smashed a 25-yard left-footed volley into the top corner and Armstrong did even better by racing down the right and hit a vicious angled drive into the far stanchion where the ball lodged. This match will be remembered for Peter Taylor's magnificent contribution at a packed Stamford Bridge in front of 54,407. Wearing the all white strip with diagonal sash for the first time, Third Division Palace opened the scoring when Taylor went on a probing run down the right wing and unleashed a powerful shot that cannoned off the crossbar and Nick Chatterton finished off. Taylor found the net with a long-range drive past Peter Bonetti before Ray Wilkins and Steve Wicks got Second Division Chelsea back in the tie. However, the scene was set for Taylor to score the winner with a 20 yard free-kick chipped over the wall and into the roof of the net. Forcing FA Cup holders Wolves to a replay after a 2-2 draw at Molineux days before was deemed a remarkable achievement. So the non-league Glaziers feared the worst when they fell behind in the opening seconds of the replay at the Crystal Palace. But Billy Lawrence notched an equaliser and George Garratt put Palace ahead before Wolves levelled matters. In extra-time, Jimmy Bachop put Palace back in front and Archie Needham made the tie safe after scoring with a mazy run from the halfway line to knock out the Second Division club. Palace booked their place in the semi-finals of the FA Cup for the first time in their history with this success at Roker Park. They had already seen off Walton & Hersham, Millwall, Scarborough and claimed the scalps of Leeds and Chelsea in this fine cup run. Sunderland were flying in Division Two and ended up winning the championship that season but they were no match for the Malcom Allison's men of the Third Division. Peter Taylor went on an amazing sortie from his own half and whipped in a cross at the byline for Alan Whittle to score the match winner. Third Division Palace pulled off one of the best-ever FA Cup results with this emphatic victory against Everton at Goodison Park. The Toffees graced the top flight and were comfortable winners in the sides' two previous cup meetings. John Whibley, Bert Menlove (2), John Conner (2) and Alf Wood were on target and the scoreline could have been greater as Palace even had two goals disallowed for offside and legitimate claims for penalties turned down. It still remains as the biggest ever cup win over higher league division opponents. This was probably Trevor Francis' finest hour as manager as 10-man Palace enjoyed a memorable Anfield victory after the first game ended 0-0. Julian Gray was the inspiration, firing the Eagles in front against the run of play from close-range shortly into the second half for the Championship Eagles. Disaster struck as Dougie Freedman was shown a straight red card for elbowing Sami Hyypia but Palace managed to hang on against the Premier League high-fliers who were playing Champions League football with Cedric Berthelin keeping his team in it with a number of smart saves. The win was secured late on when Gray charged down the left wing before letting rip with a shot that was diverted in by Reds defender Stephane Henchoz. Southern League Palace, who had only been in existance for 18 months, took on the might of Newcastle who were the current Football League champions and FA Cup finalists the season before. They were unbeaten at home for more than a year and the team was made of several internationals. But Palace, who had a few Geordies in their line-up, pulled off one of the great shocks when Horace Astley netted the decisive goal. Club historian Rev Nigel Sands reckons this victory is Palace's greatest ever. Sitting third in the First Division, this fine Leeds team expected to brush aside Third Division Palace with relative ease. They were European Cup finalists the season before and boasted a number of fine international stars. Malcolm Allison deployed a sweeper system for this tie and Leeds could not cope with Palace's attacking full-backs. The Eagles went in front when Dave Swindlehurst climbed highest to power home Peter Taylor's left-wing free-kick and it could have been more as the Londoners ran riot. Arguably the most thrilling FA Cup match of all-time, this tie had all the ingredients of a classic David vs Golliath affair. Liverpool were the current FA Cup holders and led the First Division, while Palace were fighting to stay up. Steve Coppell's side were thrashed 9-0 by the Reds at Anfield earlier in the campaign and most pundits predicted a similarly one-sided result. When Ian Rush put Kenny Dalglish's team ahead in the first half things looked bleak for the Eagles. Then right from the second half kick-off John Pemberton charged down the right and his cross was eventually turned in by Mark Bright to level. Gary O'Reilly then lashed home Andy Gray's free-kick before Steve McMahon equalised. John Barnes put Liverpool back in front with a penalty until Gray got Palace on level terms in this ding-dong affair with a header. And inside extra-time, Alan Pardew became a Palace hero by heading the winning goal after Andy Thorn had flicked on Gray's corner to send Palace into their first-ever FA Cup Final.